QCDSM has been implemented in companies in the countries which flags are represented above. NOTICE: The section of this website showing the actual Try Z Seminar results(+345) from all the companies we have worked in, is presently being updated. A separate Menu will appear on the home page when you log in and will be available shortly. The Try Z Seminar from 1989 to present. This is the complete list of Seminars conducted in the various companies. As stated, when the actual +330 Seminars’ section is updated you will be able to see the full results of every seminar with pictures and data. The performance of the people in your business is the one major factor that leads to the achievement or non achievement of your business goals. The people within your company are your greatest resource, your greatest asset, but they can also be your most serious liability. It all depends on their performance against the laid out goals or key performance indicators (KPI’s) you have established for the business. 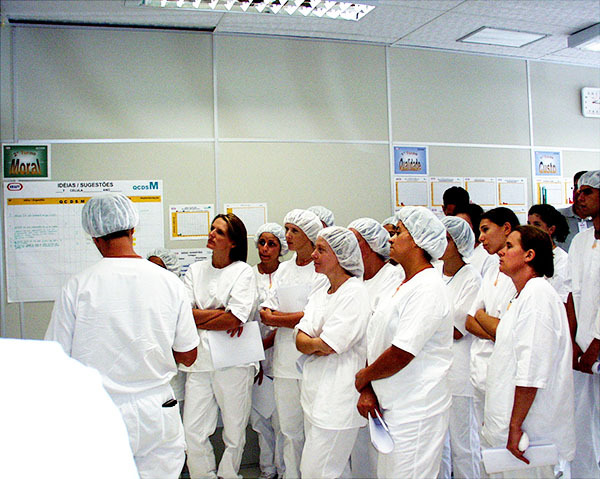 Of course you will institute procedures and protocols to ensure that there is communication between the departments. However, and this is a very big however, how did you do that? Controlling the interaction between your internal and external customers and suppliers – known as The Supply Chain – is the key to your success. Many efforts are expended to ensure this control. Many are successful but there are even more that are not. The root cause of the failure is that often there is no built in structure to control this inter-relationship. It is often piecemeal and dependent on the attention of a department leader. In many other cases it is simply an out of control effort. An integrated system linking all departments and areas is sometimes missing thereby allowing different areas or departments to interpret the process differently. What if you could use a very simple but powerful tool to assist you in maintaining this control? The tool is the QCDSM process. The interaction between customers and suppliers is a difficult exercise at times and needs to be explained further. The QCDSM definition of interaction is the ability to ensure that the goals set for the company, combined with the protocols and procedures that are put in place to achieve those goals are, in fact, obtained. Management of the goals, therefore, is the secret to this success. 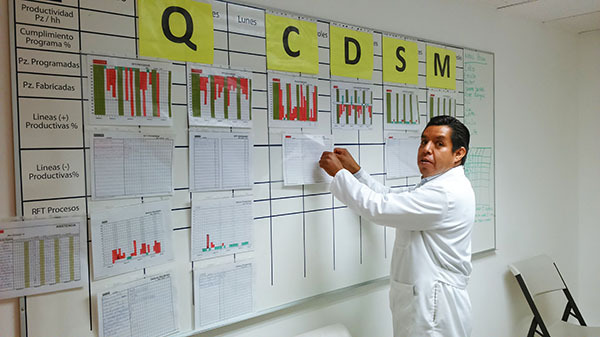 direct involvement of the people doing the work in their specific areas with the ability to visually measure their performance ( Charting their deliverables) on a daily or weekly basis. 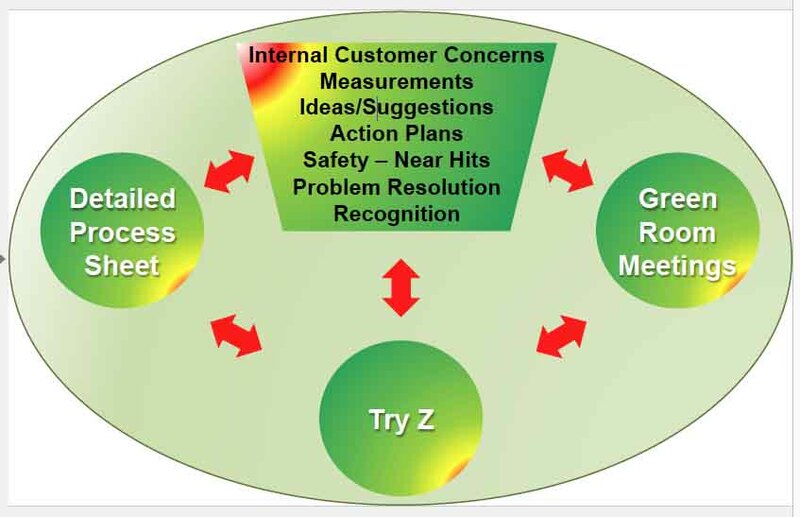 your employees will become involved in problem solving based on their daily or weekly measurements. your employees will be responsible for ensuring their safety and the safety of others and the facility within their areas. your employees will be the main authors of their procedures. your employees will come to understand that the purpose of their work is to maintain and improve customer value. your will have established a robust SUPPLY CHAIN throughout the company. QCDSM is the process to assist you in achieving these goals and many more. The QCDSM System is built around the simple concept of involving the people of an area who do the work in the day to day management of their area. This is not only by just working in the area, but by actually taking control of their area. In many instances this enables them to reach out to both their internal and external customers and suppliers to resolve issues which will ensure good relationships. 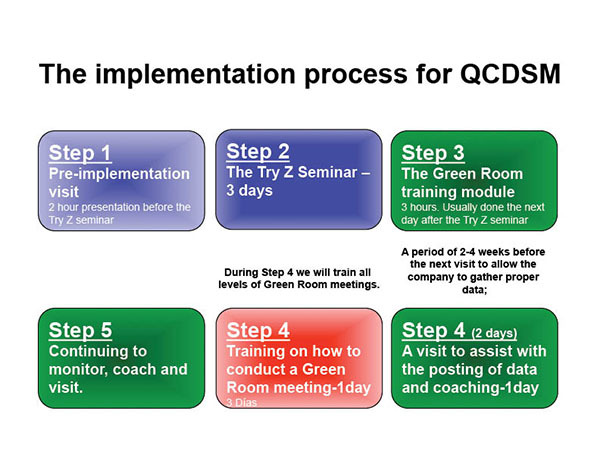 QCDSM does this by establishing a structure within the company known as the Green Room Meeting process. This is not just another meeting protocol. It is much more than that. The Green Room is designed to be the data center for the people who work in an area/department. Your employees will gather for this meeting either daily at the beginning of each shift or weekly in service areas and management areas. The purpose is to examine how well they did during the period after their last meeting. By establishing a series of data charts set up in accordance with their goals, they will examine what is going right and what is going wrong. They will then be able to develop trends, look at intermittent occurrences and use their expertise to contribute to the solutions. Whatever cannot be resolved within their areas is passed up to what is termed the “2nd Level” meeting and then on up the line to the top management team meeting. This up/down communication process is the critical key in keeping the control. Everything that is needed to be known before a shift begins or in a weekly meeting is revealed in these meetings. Action steps, suggestions etc. are all recorded so that after the meeting, however a company decides to deal with it, this information becomes the TO DO list for the people and others involved in the decision making process that day. Whatever caused problems the day before or week before needs to be addressed. There are three key elements that form the basis of the QCDSM system. These three elements are the Green Room Meetings, the establishment of what we call Detailed Process Sheets (procedures) and the Try Z Seminar. Once established and working, these processes enable your staff to control all the activity that occurs within an area or department of the company. 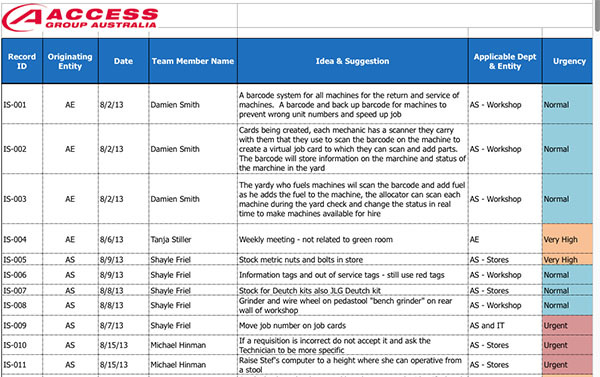 Databases are set up to record incidents and occurrences including the ideas and suggestions of the people. This results in a complete process for managing the day-to-day business of the company. So often companies hesitate to begin the process of empowerment because the task seems too big for them to tackle. QCDSM is a simple, step-by-step process whereby, according to the wishes of the company concerned. The key players are trained to begin the process of visual management within groups or teams and transfer the methods of empowerment to those who will be the leaders. This step-by-step process is clearly laid out and trained by us using the organizational structure within a company. These areas will then begin the process of transferring this expertise to their own situations. You can view a full description of all areas of the QCDSM process here on the website, however we will be privileged to visit with you to further explain the process, its implementation and to answer the questions you may have. Contact us here.